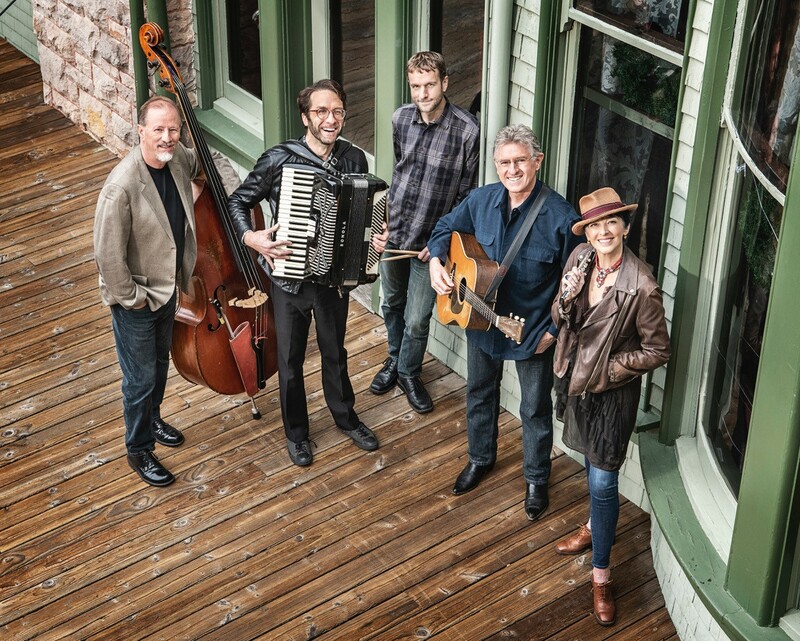 Americana outfit the Nell & Jim Band will drop their latest album, Steel, tomorrow, February 15. The album comprises 12-tracks of music rooted deep in the sonic heritage of the U.S.
Jim Nunally first came into contact with Nell Robinson when he co-produced her album. Not long after, the pair hooked up to record House & Garden, featuring their delightful vocal harmonies along with alluring rhythms. In an effort to expand their sonic footprint, they added a trio of talent to the band: Jon Arkin, Kim Kerwin, and Rob Reich. In one fell swoop, the duo became a quintet. After laying down tracks for Baby Let’s Take The Long Way Home, the band went on tour and did what band’s used to do while touring, but don’t much anymore. They worked on new material; material that would appear on Steel. The first track to be released from the album was a tune by Doc Watson – “Shady Grove/Matty Groves.” Nunally’s familiarity with the song goes way back, since he played it on a regular basis with David Grisman. Entry points on the album include “Dime In My Pocket,” a bluegrass tune radiating aromas of the deep South, as well as the nasal voice of Nunally. One of my favorites is “Red Clay Creek,” probably because it reminds me of the distinctive sound of Joan Baez, and I love the vocal harmonies on the track. Other songs of note: “Man At The Mill,” and “Meditation Blues.” The latter features a stunning vocal performance by Nunally. Steel is tantalizingly excellent, delivering delicious down-home country flavors, creamy rhythms, and marvelous melodies.